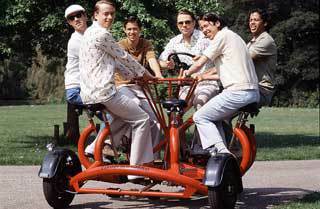 Get a Group of people together and let's go for a cruise! 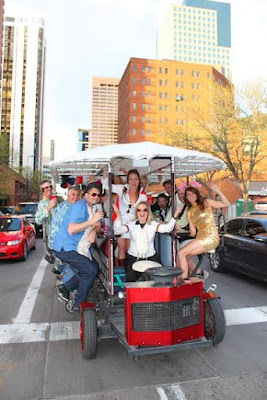 Our bike bar is the lightest, fastest afforadable bicycle bar in Denver. Enjoy a great sound system, lights, and our experienced tour drivers as you and your friends have a great time. Available in a Full 12 Person Ride or 6 Person Bar Hopper! Need a fun event to do downtown? Go on a Bar/Pub/Brewery tour with your friends/coworkers/loved ones in an exciting and affordable way with Denver Booze Cruise!